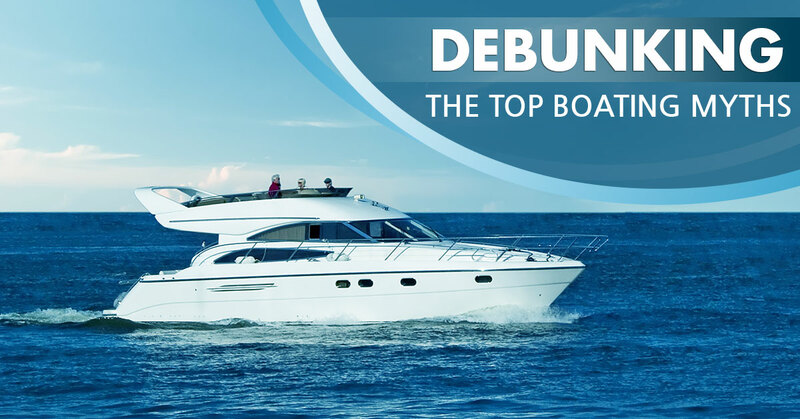 There are countless myths out there when it comes to boating. In this post, we thought it would be good to debunk some of these misconceptions. During your early boating years, you may have been told that sailboat skippers have the right of way. Such advice couldn’t be further from the truth actually. According to Florida boating regulations, a sailboat is considered just another powerboat. While it certainly helps to be cautious on the water, don’t feel the need to always defer to sailboats. Most people would say that alcohol and drug use are the primary contributing factors in boating accidents and fatalities. This is, in fact, true. But what factor would you say ranks third? If you guessed speed, you are correct. Interestingly, sterndrive-powered boats (performance boats) are often regarded as the most dangerous on the water. The reality, though, is that both inboard boats and outboard boats were involved in more accidents. The point we’re making with this myth is that any vessel can be dangerous if not operated safely. You’ve probably heard time and time again that your fuel system will pick up contaminants from the bottom of the tank. In a domino effect, those contaminants get sucked into the engine and destroy it. Just like that, a day of boating is ruined because you’re out of gas. Hang on a minute. 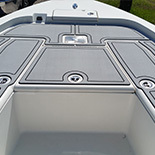 What the average boater doesn’t realize is that all fuel tanks draw from the bottom. So even if your boat’s gas tank is a little less than half full, you should be okay. We’re willing to bet someone has told you that your boat is a money pit. Here’s the thing: You probably spent a pretty penny to purchase a new boat, whenever that was. That said, if you’re taking your vessel out on the water regularly and doing everything possible to maintain it, boating doesn’t have to cost an arm and a leg. Boating also provides fun opportunities for valuable family time. You definitely can’t put a price on that. Your boat runs like new and you have plenty of lifejackets on board for passengers. Then you take a long look at the vessel’s surface. In addition to spider cracks and other imperfections, the floor is more like a skating rink than anything else. Safety is of the utmost importance while out on the water. 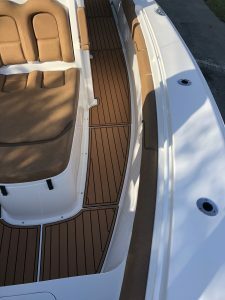 Here at Marine Customs, we are proud to offer the highest quality boat decking products in the region. In addition to our EVA foam being durable and comfortable, it also offers maximum wet/dry traction. 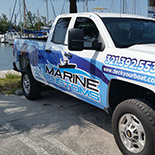 Why risk the safety of yourself and others because of worn-out marine decking? 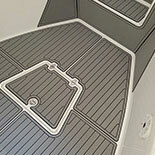 Contact the pros at Marine Customs today to ask about our non-skid decking.